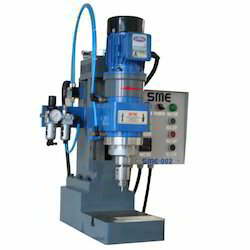 We are engaged in offering Pneumatic Riveting Machines, which control low cost orbital silent riveting machines having micromatic stop for precise height control with graduated ring. This offered machine is equipped with an additional handle for major daylight adjustment. These are widely appreciated and demanded by our customers based across the globe for sturdy construction, high efficiency and low maintenance. Our cherished client can avail from us an effective range of Pneumatic Riveting Machine. 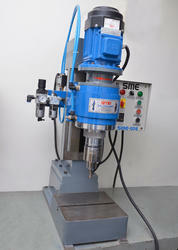 These riveting machines are integrated with a best quality of basic material & leading edge technology. 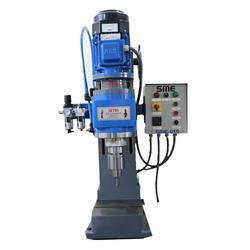 The offered riveting machines are examined properly on predefined provisions of quality. In addition to this, customers can purchase these riveting machines from us at market leading rates with different specifications. 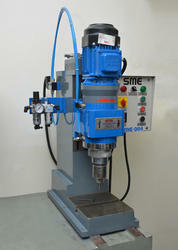 Small in size, these Pneumatic Riveting Machines are best in working and do not get damaged due to rough installation. Professionals give elegant finishing to these machines with the use of best machinery. Rust resistant in nature, these orbital machines work with less noise and vibration. 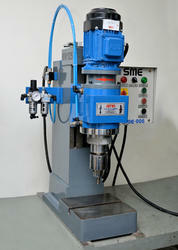 Besides this, these riveting machines are completely reliable.